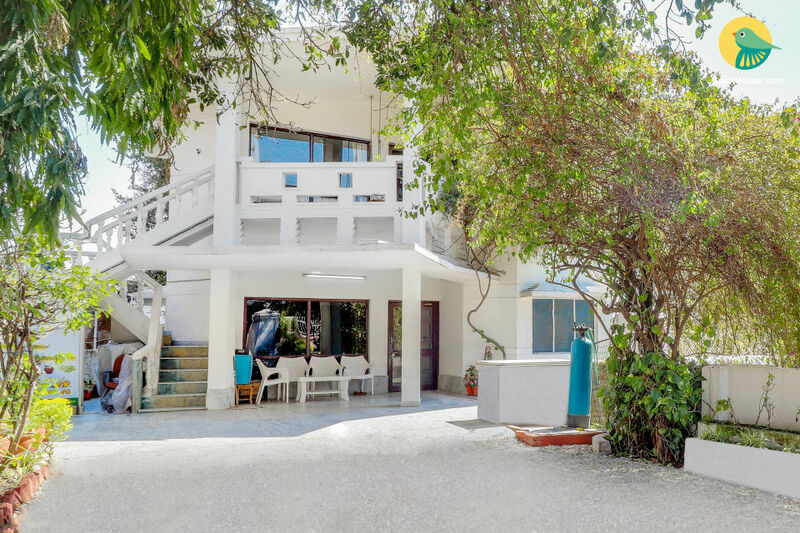 This Homestay is prominently located in between Sakya Centre and Sai Baba Temple on Main Rajpur Road. 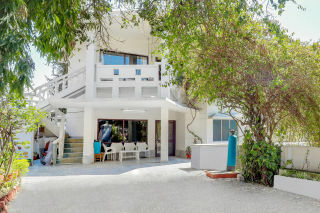 Experience a Divine level of Hospitality, Warmth, Affection, Homeliness, Comfort and Security of staying with a Family. We cherish our culture and traditions. More information We Heartily welcome you to stay with us and be a part of our family. 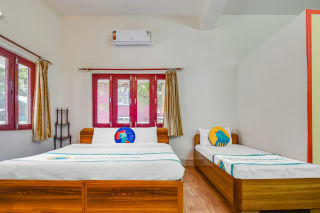 The space All rooms have 32 inch LED TV with DTH (Satellite Channels), FREE WIFI ACCESS, Air Conditioning, Attached Bath'n'WC, Running Hot'n'Cold Water, CCTV in Common Areas, FREE Parking, etc. 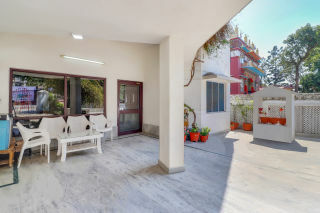 We are located in the most Posh, Beautiful, Naturally Cool area of Dehradun, at a considerably high altitude than Dehradun City Centre, and as such much cooler than the rest of the city (as much as 3-4 degree Celsius in Summers). Our Homestay is Unique in many Aspects. 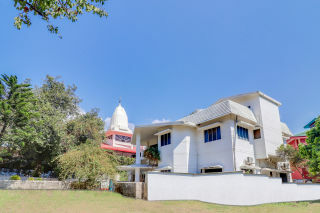 It is located in between Two of the most popular Destinations of Dehradun, viz. Sakya Centre Buddhist Monastery to its Left and Shri Shirdi Sai Baba Temple on its Right. Several famous Cafes and Restaurants are at a distance of a pleasant walk on the most beautiful roads of the City. Clear Skies with abundance of Crisp Fresh Air and Chirping of Birds can be enjoyed during your stay at our place. 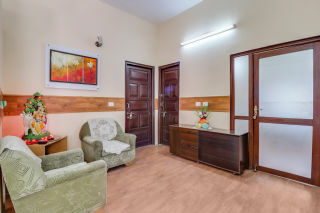 We have a marvelous Location superb connectivity through all Modes of Public Transport, such as Local Bus, Taxi, Autorickshaw, Shared Autos (Called Vikrams), right upto the doorstep. We are at the Heart of Several Key Attractions of Historic and Tourist Interest. The place is visited by millions of Domestic and International Tourists each year. In Between Sakya Centre Buddhist Monastery Temple and Shirdi Sai Baba Temple, other nearby places of tourist interest include MDDA Nature Park - 1 Kms Pacific Mall - 2 Kms Forest WalkTrek to Temple - 2 Kms Dehradun Zoo (Malsi Deer Park) - 3 Kms Robber's Cave - 6 Kms Sahastradhara Sulphur Springs - 6 Kms and many more... Several Popular and Highly Rated Cafes and Restaurants are at a walking distance from our place. 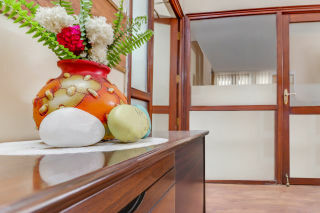 All the Four Guest Rooms are conveniently located on the Ground Floor, and as such easily accessible for the Children and aged guests. We ourselves reside on the First Floor. Pure Vegetarian Home Cooked Breakfast, Lunch and Dinner, cooked in Pure Desi Ghee, are available on request and advance intimation at additional charges. As informed earlier, we Reside on the First Floor of the House and are a Joint Family of 7 persons ranging from 2 years of Age to 70 Years. We love to interact with our Guests and are usually available to guide and assist our guests in planning and travelling around the City. Dehradun Railway Station, one of the Oldest in India, is at a distance of 9 Kms from our Homestay. Taxis and Autorickshaws are available round the Clock. Shared Autos called VIKRAMS and Local Bus are also available from Railway Station. Dehradun Airport also called Jolly Grant Airport is at a distance of around 35 Kms towards Rishikesh. It Takes approximately 1 Hour to reach there by Car or Taxi. If required, Taxi can be arranged for Pickup or Drop at applicable charges. Dehradun ISBT is located in the Southern Corner of the City and is approx. 15 Kms from our Homestay. Direct Local Bus, Taxi and Autorickshaws are available, which drop you right at our Door Step.